We are ecstatic to have you join our site and welcome you to the Tripz community! We strive to make all processes simple and user-friendly. 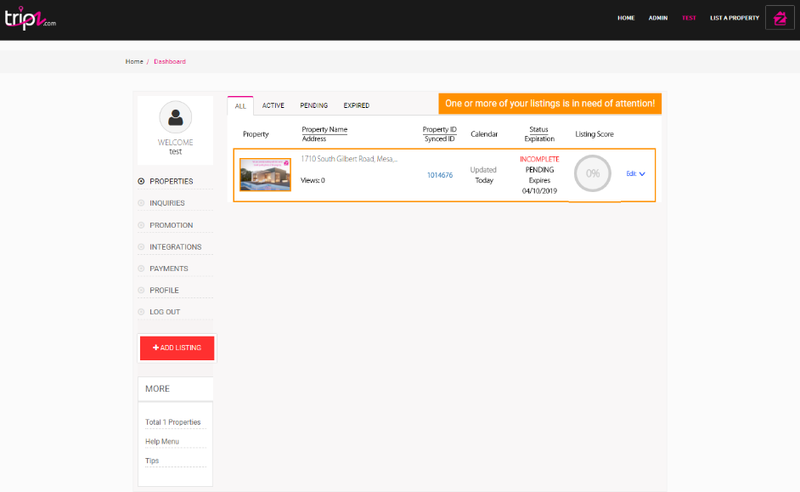 Below, we have provided a walkthrough of how to create an account and start advertising your vacation rental home with us. Enter a Proper Home Address under location. Note: Once Select ‘NEXT’ your account will be created and you may navigate away from the payment screen. You will then be able login using your email as your username to access your account and build your listing completely prior to actually paying for your listing. You will need to complete payment however before your property is set ‘Live’. (see Payment Options). Payment of subscription/s. Read our Terms and Conditions before selecting Pay and Continue. Once the payment has been processed, you will be taken your directly to your Homeowner Dashboard to begin completing your property listing. 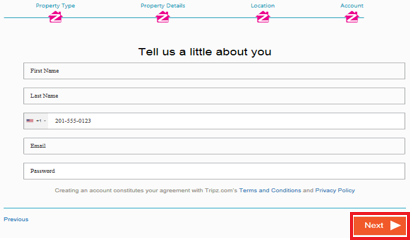 Here at Tripz.com we value all homeowners and their homes. For information on how it is to be a part of Tripz.com and our promise click here.